Why Would I Want to Install a Humidifier? 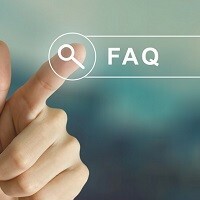 Home » FAQs » Why Would I Want to Install a Humidifier? A humidifier can keep your home at an ideal humidity level, which offers many health and comfort benefits. Proper humidification can eliminate respiratory and allergy symptoms while helping family members feel warmer indoors. Not every home has the ideal humidity level in their home, especially during the winter months when a heating system is running continuously. Dry air in a home causes several issues for your health, your family’s health, for your home, and your heating and cooling system. 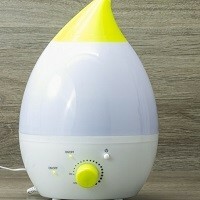 A humidifier provides a comfortable atmosphere by adding moisture to your indoor air when it might be too dry. Humidifiers prevent damage to your home that can occur from dry air. A dry environment will undermine a home’s foundation, frame, and interior. Cracked and separated wood floors, trims, and furnishings are the result of dry air. Wallpaper will begin to dry out and peel off the walls, and you will experience increased static electricity throughout your home when the air is too dry. Moisture in your air will make you feel warmer, stopping you from turning the thermostat up when it’s cold outside. Dry air affects your body temperature, and you will feel cold all the time when you are at home. Feeling cold constantly forces you to turn the heat up, sucking even more moisture from your air and intensifying your cold body temperature more.